Are you craving tasty food, wonderful worship, and the opportunity to hear from and fellowship with other women? 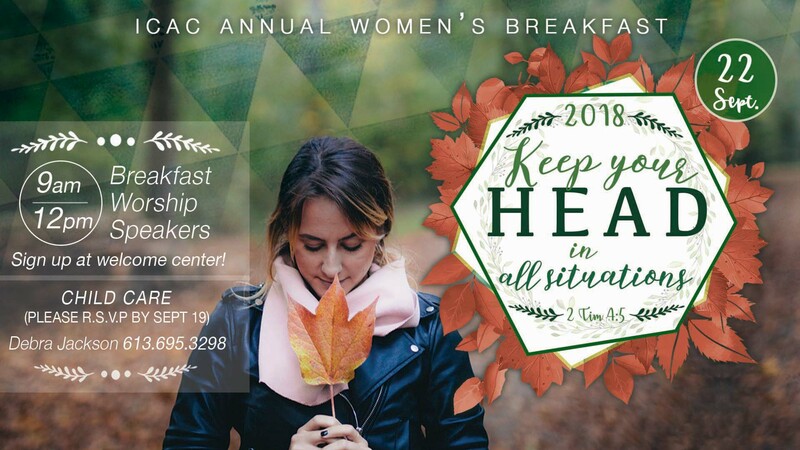 Then come and join us for our annual women’s breakfast! Our guest speakers will share about how to “Keep Your Head in All Things” (2 Timothy 4:5), and how they establish balance in their lives amid the realities of demands from family, employment and ministry work. Please sign up at the Welcome Center or contact the church to register/get more information. Child care will be available, but please RSVP for child care by September 19.